is a open-source application security project. The OWASP community includes corporations, educational organizations, and individuals from around the world. This community works to create freely-available articles, methodologies, documentation, tools, and technologies. Open VirtualBox and hit the icon for "New"
VM Name and OS Type: Enter name "OWASP-BWA" and select OS "Linux" and Version "Ubuntu"
Virtual Hard Disk: Important Select "Use existing hard disk" and click on the folder. Browse to the unzipped folder contents of the OWASP Broken Web Apps VM. Select "OWASP Broken Web Apps.vmdk" Note: There are similar files ending in -s001. Don't pick those. Make sure the checkmark for enabled is checked. Change "Attached to:" from "NAT: to "Host-Only Adapter"
Right click on OWASP-BWA in the left pane of the Oracle VM VirtualBox Manager App and hit "Start"
Open a browser on your main machine (not the VM) and go to this URL. It should load a page that starts with "OWASP Broken Web Applications"
Note: You don't need to actually login to the virtual machine. Everything is already running. Click the plus icon on the right to add a new adapter. You should now see "vboxnet0"
WebGoat is a deliberately insecure J2EE web application designed to teach web application security lessons. In each lesson, users must demonstrate their understanding of a security issue by exploiting a real vulnerability in the WebGoat application. For example, in one of the lessons the user must use SQL injection to steal fake credit card numbers. The application is a realistic teaching environment, providing users with hints and code to further explain the lesson. References to WebGoat documentation or solutions. 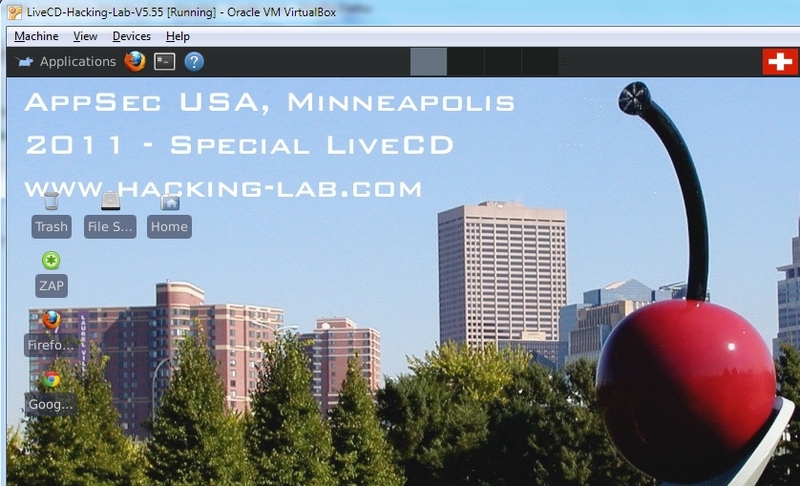 hands-on lab as a service to the OWASP Academy Portal and to the OWASP community. Those training material is reviewed and approved by the OWASP Academy Portal Project members in order to set and maintain an OWASP-worthy training quality. You should be ready to go now at the OWASP Security Training.